Digital Learning Day is a national celebration of how students learn using diverse, technological methods in our modern world. We've got plenty of ways for you to celebrate and participate! For Youth: Young people can level up by completing these set of challenges including game design, exploring their vision of future technology, and sharing how the digital world impacts their lives. For Parents: Learn WITH your young person and share the experience of learning in a digital world. Get creative and make your own Digital Learning Day activity! Go paperless for the day. Or introduce coding via Minecraft or Angry Birds. If you're short on time, use the QuickFire Playlist (about 20 minutes). Digital learning is diverse and should be celebrated in all forms. Let CPS know how you're participating by filling out this form so you and your young people can be recognized! Know an educator or youth leader who should be recognized for their work in digital learning? Let them know you appreciate their work in the community with this certificate! Take a picture and tag it #DLDay. 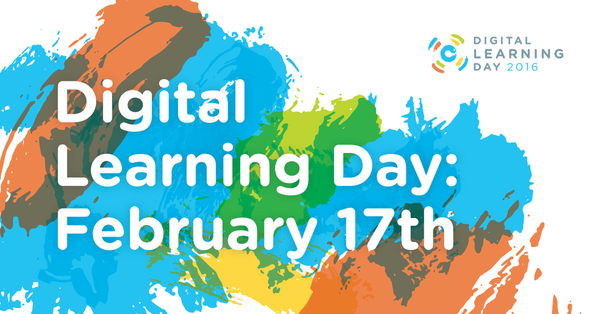 Remember to explore, have fun, and share with us how you're celebrating Digital Learning Day on our Twitter, Facebook, or Instagram!